The most difficult task was deciding on a dress from Cari's Closet, as I am a dress-aholic (if that is even a word). I am lucky that I suit many different styles being petite and can often wear bodycon, off the shoulder and mini styles, which they have in their range but on this occasion I was looking for a dress that didn't swamp my figure and showed off my legs a little bit, so I opted for shorter style dress. Another reason for selecting a shorter dress, was so that I could wear it on a night out or to a fancier event. 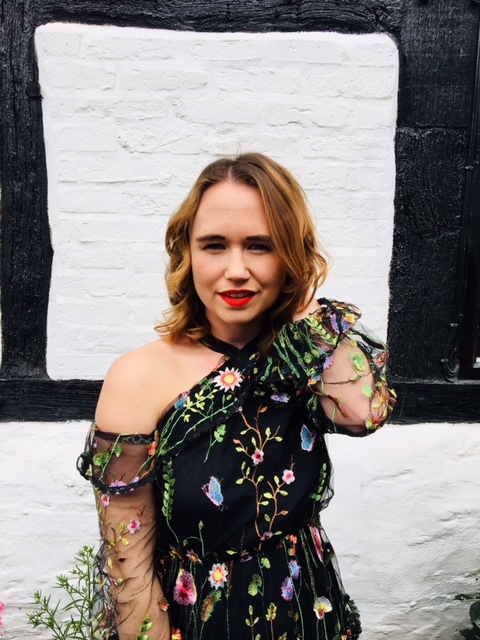 I was automatically drawn to the Poppie Floral Print Tiered Cold Shoulder Dress (now in the sale at 80 euros) boasting beautiful embroidery in multiple colours including greens, reds, white, blues on a black background. 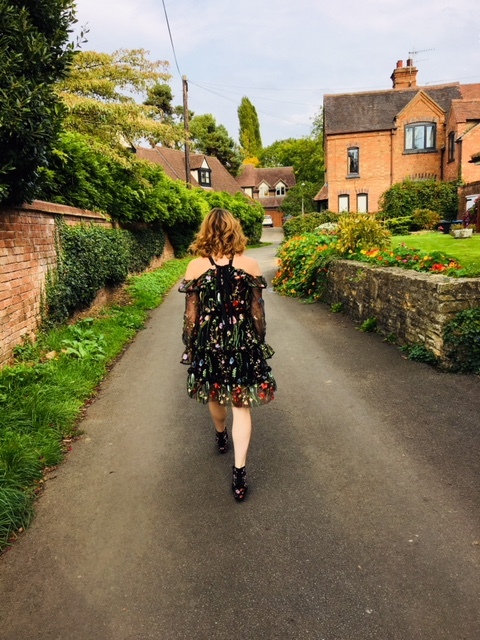 What I love most about this dress is that every detail has been thought of in the design process, there are elegant cut out shoulders, layers of ruffles all the way down giving the dress a tiered effect and it also ties around the neck with a bow detailing at the back. 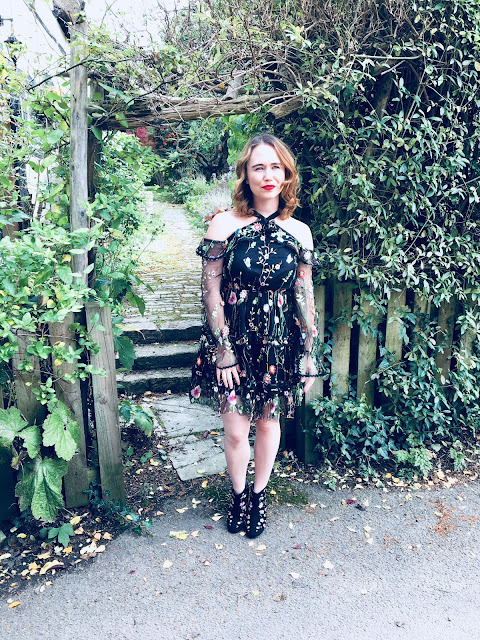 This has to be my favourite dress that I have ever worn, and I have worn a lot of dresses! 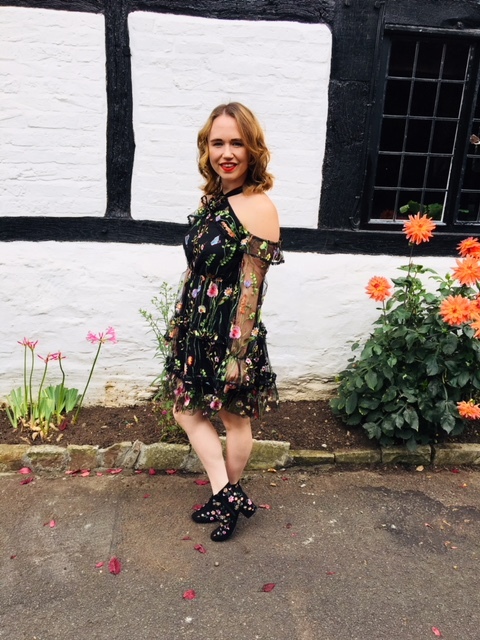 To give the dress more of a boho feel, I paired the floral dress with a pair of Primark embroidered black ankle boots (£16) but if I was selecting accessories for an evening look, I would definitely go with some red high heels to bring out even more colour in the dress. 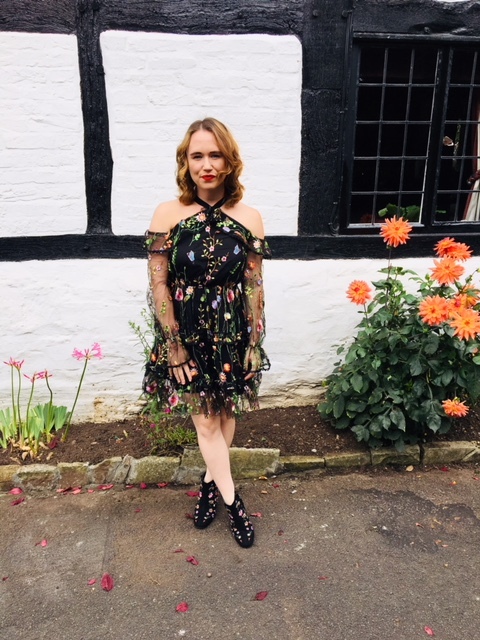 What do you think of my floral look? What is your favourite dress style? I adored this look! 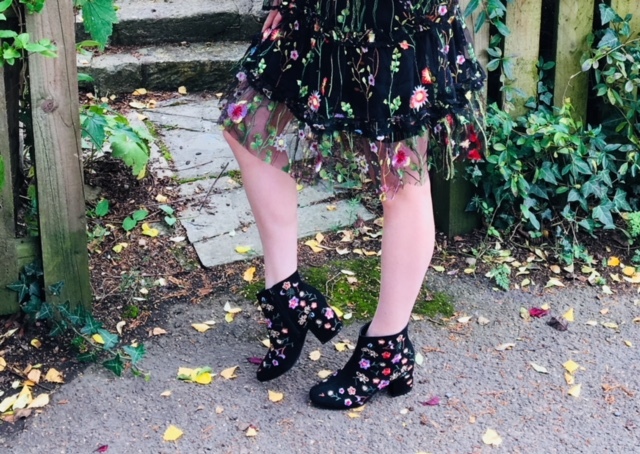 Love the flowery boots to match! Love the dress and the shoes. It looks really great! HOLD THE BUS. £16 for those boots? TAKE MY MONEY ALREADY. It is such a beautiful floral pattern. You look great in it. And I love the boots to go with it as well.